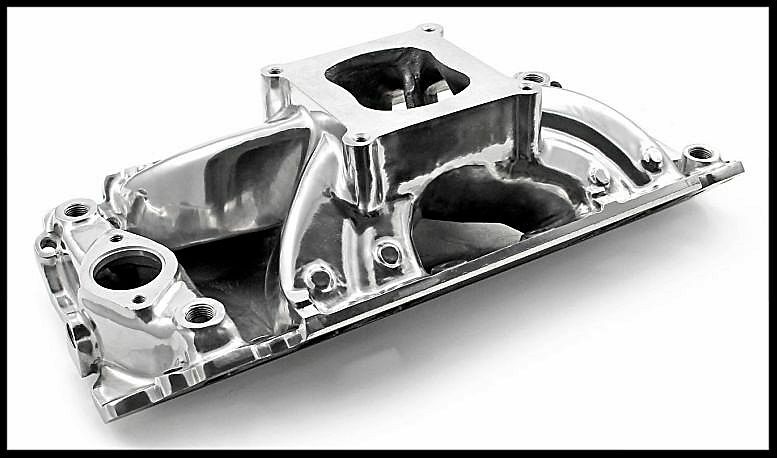 HIGH RISE BBC POLISHED INTAKE MANIFOLD PC-3030/ PCE147.1035 CLEARANCE! The standard manifold has been a winner in all types of racing ever since it was introduced. 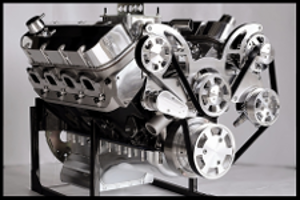 Dyno-proven to out-perform every other similar manifold, it also is more fuel efficient than similar manifolds. They purposely did this so you can port the flange to suit your particular application. 3030 3000 - 7500+ 2.31" H x 1.69" W 6.16"
Very similar to the Hurricane intake by Pro Products. This single plane intake is the best choice for achieving the highest horse power possible. This is our favorite intake as we have dyno proven it to be the best for overall power.